When I was just out of high school, I bought myself a well-used 1962 Chevy Impala. One of a succession of beaters I owned in those days, it had a 230 cubic inch “Hi Thrift” straight-six engine mated to a three-on-the-tree manual transmission. I paid $250 for it, and drove it for a year or so. Loved that car, and I sold it at a small profit when I was done with it. Wish I’d kept it; this particular year of Impala has turned out to be very collectible….especially the six cylinder versions, which have become as scarce as hen’s teeth. But I digress. After a major redesign, the Impala is now in its 10th generation and bears absolutely no resemblance to its predecessors. My old Chevy was a land yacht of a car….bench seats front and back, ample seating for six, and a trunk big enough to rent out as a storage locker. It had zero handling abilities, took a couple of city blocks to stop, and offered little in the way of fuel economy….”Hi Thrift” engine notwithstanding. None of those things apply to the 2014 iteration. In just about every way, this is a nimble, thoughtfully-designed automobile, with no real bad habits, a surprisingly high level of luxury, and, depending upon the model, more than reasonable fuel economy. 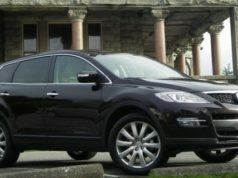 My tester, the 2LT version, is powered by a 3.6 litre V6 engine that develops 305 horsepower, and is mated to a six-speed automatic. That’s twice as many forward speeds as my old Impala, and about twice as much horsepower. I’ve encountered this engine in other GM products, and I think it’s the best-rounded V6 the company has ever put forward. Smooth power delivery, plenty of reserve grunt, virtually silent in operation. No complaints here. Ditto with the six-speed automatic. This is the only choice, and it’s a nice match. Together, this drivetrain gives the new Impala combined fuel economy of 9.2 L /100 km, with a thrifty 6.9 on the highway. This is roughly the same as the ’13 version, and typical of this size of car. Comparatively, the Toyota Avalon is slightly more frugal in town, but about the same on the highway. You can also get this year’s Impala with an Ecotec 2.5 litre four cylinder engine and that’ll net you marginally better highway economy, but it’s definitely thriftier in town. On the other hand, it’s 196 hp versus 305 hp…. Elsewhere, Chev has done a nice re-styling job here. Last year’s version was pretty frumpy in appearance and the ’14 looks much more contemporary…if a little on the generic side. 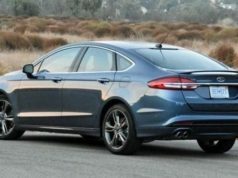 Park it beside, oh, a Ford Taurus or Chrysler 200 and the similarities are unmistakeable. One of the gripes many people have about today’s breed of sedan is that they all look the same. The new Impala does nothing to alleviate that, but at least it isn’t ugly. In terms of creature comforts, most of the bases are covered. Standard equipment (on the 2LT) includes Sirius satellite radio, power driver’s seat, tilt/telescoping steering, cruise control, dual-zone climate control, and steering wheel-mounted audio controls. My tester also came with a “convenience package”, which included rear park assist with back-up camera, remote start, and various interior upgrades. It adds $1305 to the base price and the back-up camera alone is worth the extra scratch. My car also had an advance safety package ($935), which includes blind zone alert, lane departure warning, and a forward collision alert. Again, worth the extra money. Can’t say the same about the premium audio and sport wheels package, though, which adds $1555 to the price tag and basically gives you fancy 19-inch wheels and tires and a louder stereo. Ditto with the navigation package ($1310), which you can probably do without. Get all the goodies, and by the time the dust settles, you’re up and over $41,000, before taxes and extras. But here’s my real problem: I don’t trust this car. Or, more to the point, I don’t trust those that have come before it. Traditionally, the Impala has been one of the more problematic models in GM’s stable and, according to Consumer Reports, barely 50 per cent of those people that have owned one would do so again. By way of comparison, the Toyota Camry is well over 75 per cent, and the VW Passat is up in the mid-80 per cent range. I haven’t forgotten the time I test-drove a seventh generation Impala, and it developed an engine fire while coming down a hill. We were filming at the time and it was dramatic, to say the least. I’m not saying the 2014 edition will burst into flames; there’s been a lot of water under the bridge since then, and Consumer Reports states that this version has a predicted reliability of just two per cent below average, which is a definite improvement. But GM’s lacklustre reputation for reliability is still this company’s biggest challenge, in my opinion. 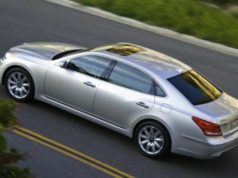 Alternatives: Toyota Avalon, Ford Taurus, Chrysler 300, Buick Lacrosse, VW Passat.